I don't always take photographs. Sometimes I like to take on a project that exercises the need to work with steel, wood and sweat. To me, it is something that is built into many people, and more often built into the male of the species. Being someone who has always been interested in history, I decided to buy a Mosin Nagant 1891/30 rifle. The Mosin was manufactured by various countries between 1892 and the early 1970s., and was the primary field rifle used throughout WWII by the Russian military. Russian troops would have used the Mosin throughout the war and even had it when they entered Berlin to help crush the Nazis. These firearms can be obtained on the military surplus market nowadays for around $220 to $400. On the $200 dollar end, you will get a rifle that will work, but will need some tender loving care to get it back up to speed. On the $400 dollar side, you can get a rifle that is in great condition and won't need any work except for a decent cleaning. Sadly, we used to be able to buy these for less than $100, but the market is drying up. I opted to get a fixer upper and purchased one for around $230 from Classic Firearms out of Monroe, NC. The rifle arrived at my dealer, and I immediately realized it would take some work to get this back to a semi-restored condition. 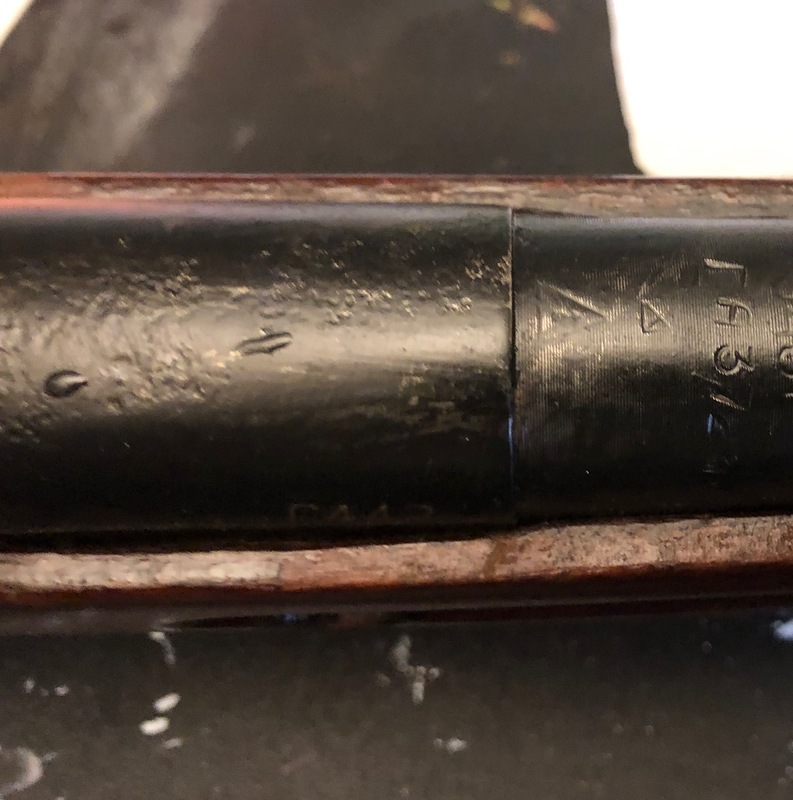 My goal with this restoration is to not take it back to factory condition, but to take it back to the condition it would have been during the first year of use, as a war time gun. When the project is complete, it will have wear marks on the stock, and even some dings left on it. In short I want to preserve the character of the weapon as the original soldier might have seen and used the rifle. After World War Two was over, the Mosin Nagant 91/30 and other variants, were sent to arsenals for repair, storage or sent back into the field for use with the now smaller army. When the rifle was sent back to the arsenal for a checkup, the stocks were often refinished, and any issues with rust were also addressed. Rifles that were stored long term were covered with a product called cosmoline. 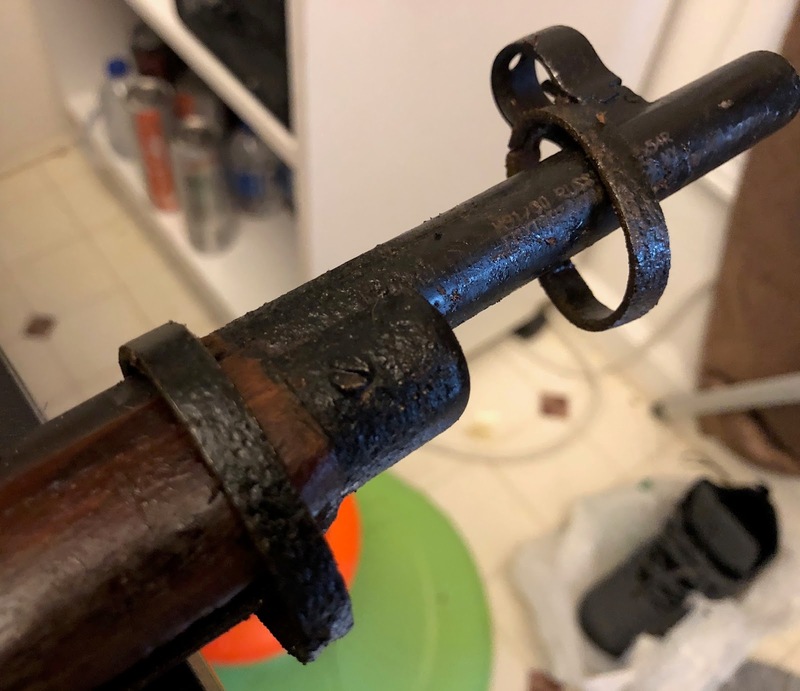 This sticky petroleum product was used to keep the rifle from rusting during long storage, and should be removed when buying a Mosin. It doesn't appear that the arsenal would take time to remove pitting though, as many Mosins have pitting issues. The first thing I did after getting the rifle home was to perform a detailed evaluation to determine what I need to do, to restore the rifle, and would it still be safe to fire. My rifle was not covered in cosmoline, but did have some on the bolt and dried cosmoline on the surface of the receiver and barrel. Continuing the evaluation, I removed the two barrel bands and removed the barrel from the stock. This is were I ran into a huge amount of rust on the underside of the barrel and top of the barrel. It was a disappointment to see the rust, but I decided to press on. I also removed the magazine assembly and found pitting on the top portion of that. There was also pitting on the top of the receiver and pitting at the end of the barrel and stock. Minor and major pitting here. You can also see the dried cosmoline. The stock itself was in fairly good condition, with minor dings and some areas which need a good cleaning. This was particularly true on the inside of the stock were the barrel is bedded. 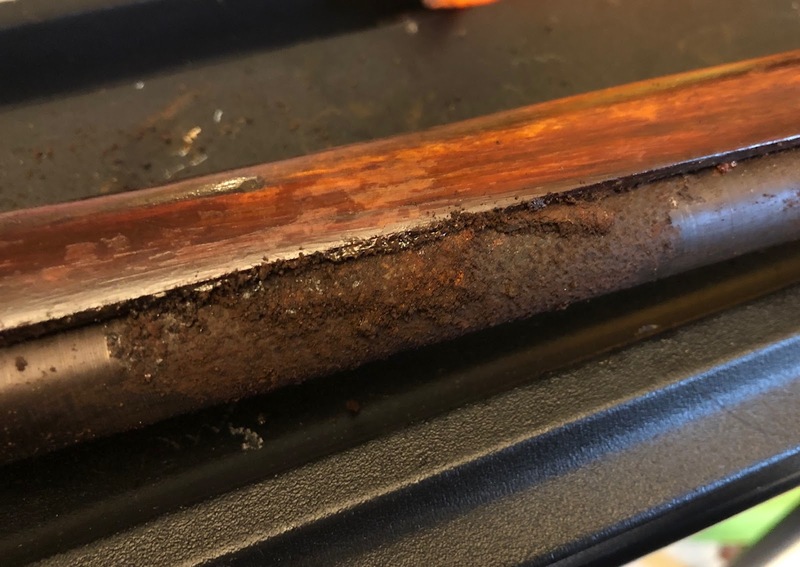 The stock itself appeared to have no cracking. Minor pitting on the receiver. I need to first rescue the barrel. With that much rust and pitting, I would need to first remove all the surface rust. 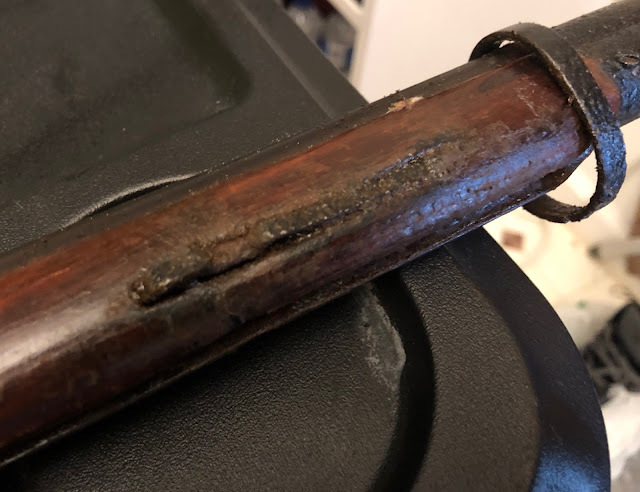 After removing the rust from the barrel, I would need to address the pitting. The pitting will be removed using 80 grit and 120 grit sandpaper by hand sanding those areas. Leaving small pits on the hidden portion of the barrel is acceptable for this project. After all rust and pitting has been dealt with, I will re-blue the barrel using a cold bluing process. This will give it a fair bluing job which will give it more of a used, historic look. Next, individual parts will be re-blued or touched up to match the barrel. Next, I will sand the stock down to remove the damaged finish, but will leave dings and oily hand marks on to give the rifle more character. Finally, I will apply the Tru-Oil product by Birchwood Casey to give it a little shine and protection. Well, that is all for now. Keep checking back for each post as I progress through this restoration process.